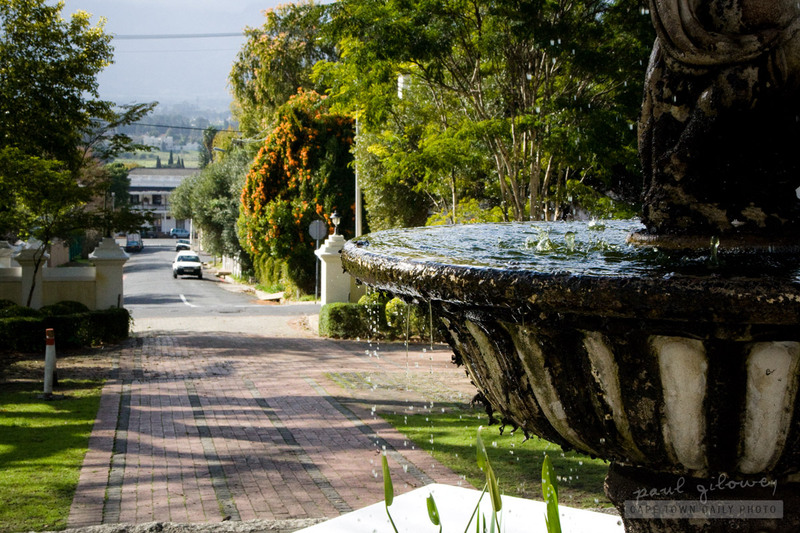 Paarl (map) is a town of such contrast. The guesthouse that we stayed at was leafy, green, and beautiful - but just down the road the town's main road was unappealing and looked as though it was stuck in the '70s. Posted in General and tagged fountain, paarl, road on Sunday, 11 September, 2011 by Paul.